This modern design promotes calm with a less-is-more aesthetic that works well with all different styles from Asian-fusion to Scandinavian. 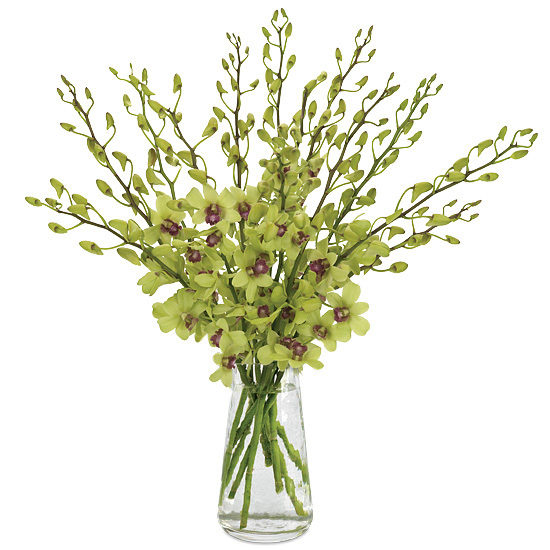 Dendrobium orchids feature one of the season’s most popular colors, chartreuse green. To enhance their ornate details, we’ve displayed them in a silver metallic vase with a fluted texture. 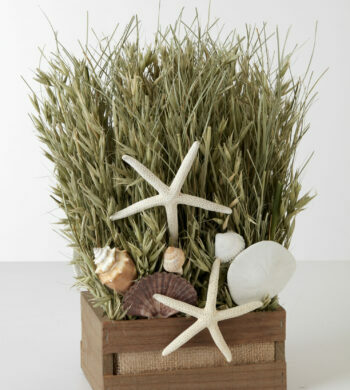 Remove the water tubes and any blooms that will fall below the water line. 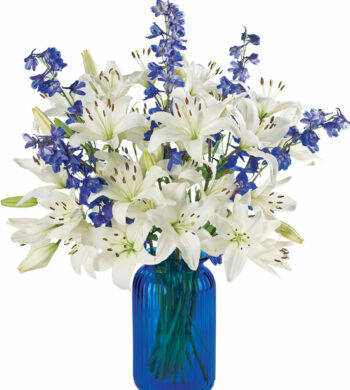 Allowing blooms to decompose in water will allow harmful bacteria to shorten the life of the flowers. We recommend trimming the orchids underwater. Take about ½” from the bottom of each spray by making a diagonal cut. 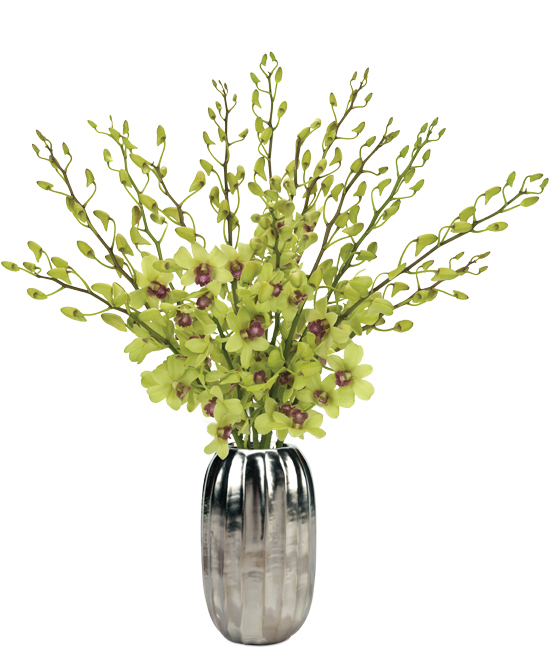 Immediately place the orchids in your prepared flower container. Always add fresh water daily. Frequent misting of orchids will lengthen their life. Change water at least every couple of days. Keep from excessive warm or cold drafts and direct sunlight.